As technology provider, we also support our customer with the Machineries and Equipments for producing IBS products such as Cold Formed Steel Sections, Foamed Concrete Products, 3D Steel Mesh-Polystyrene Panel, etc. These machineries are either imported or locally assembled come with technology tranfers, testing & commissioning and Training for the new manufacturers. Some of the machineries come with engineering software package for the purpose of design and detailling works for construction. All these machineries and equipments are warranted for at least one (1) year on any parts exclusive damage due to miss handled or modified. 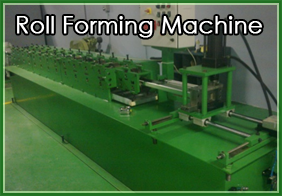 These machineries are industrialized designed to meet relevant productivity and economic investment for the beginner.